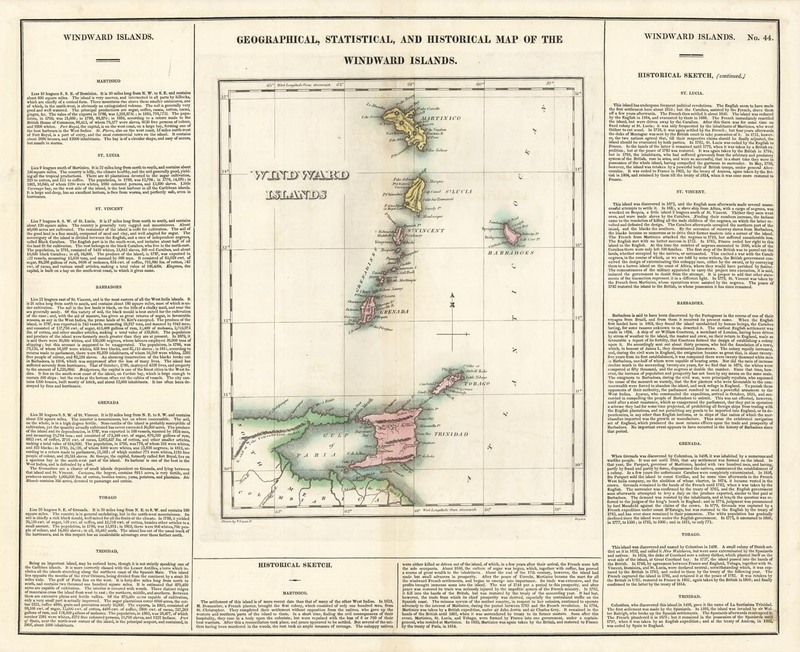 GEOGRAPHICAL, STATISTICAL AND HISTORICAL MAP OF THE WINDWARD ISLANDS. 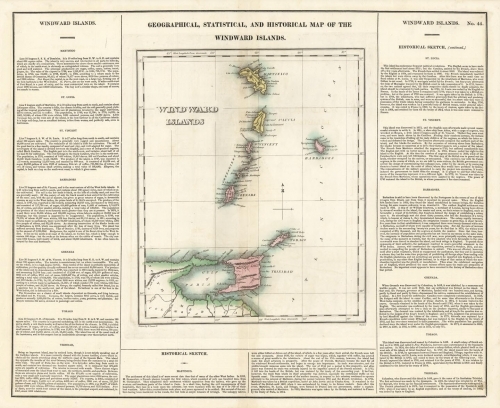 Copper engraving, hand colored, 1822 (1823). 16 1/2 x 20 3/8" (420 x 520mm) including text.